A dream in black croco style and plaing leather. 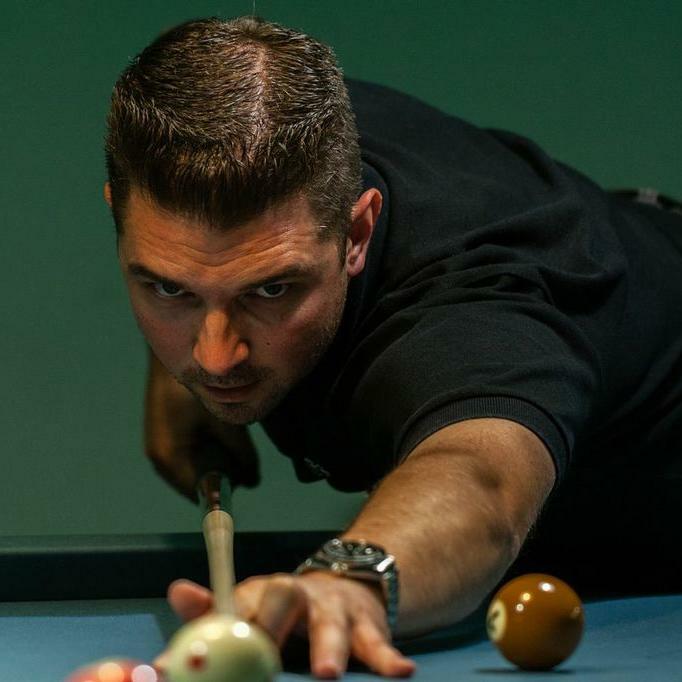 Crafted with exceptional materials to last for years and to serve the player with nice optics and best comfort. This case was crafted with high quality materials. 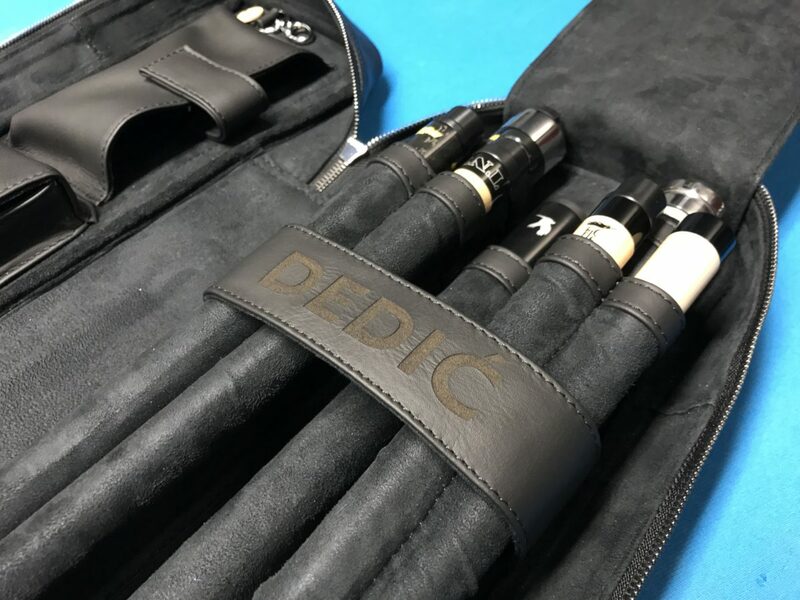 The exterior of the case is made of two different leathers. 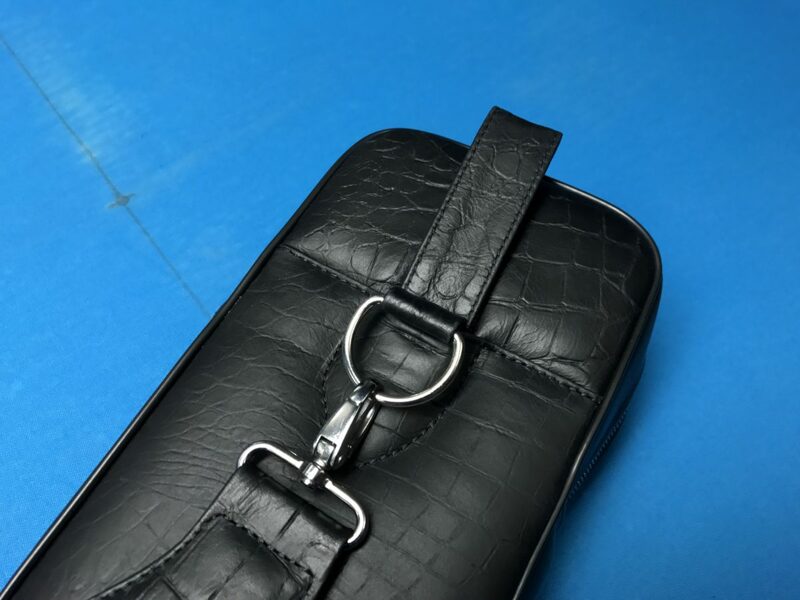 For the sides we have chosen a nice and plain calf leather. 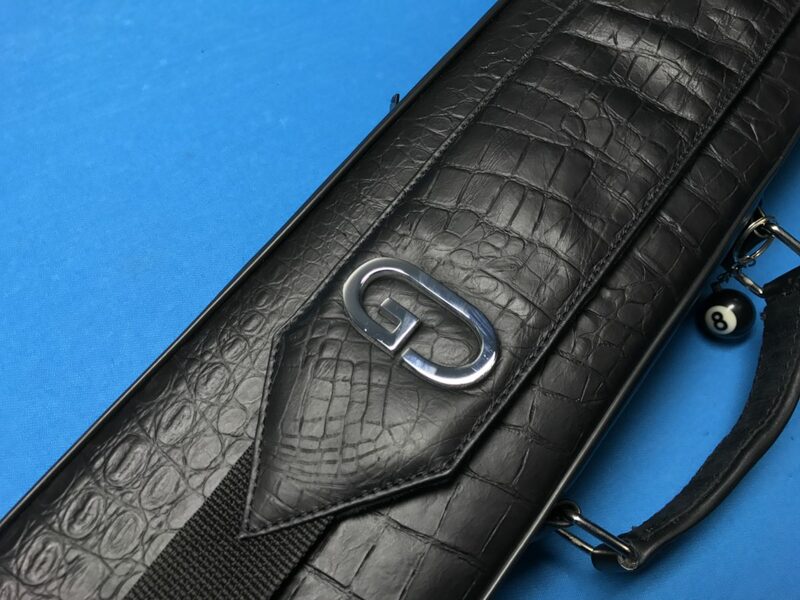 This is a great contrast to the impressive 3D-Look of the Crocodile-Style Calf Leather which we have used on the faces. This combination is underlined with the Platino Gunmetal Zipper for an unique look. Our customer wanted an all black interior. So we have created it using finest Italian Alcantara and black Nappa Leather from Milano. All black threads completes this request. 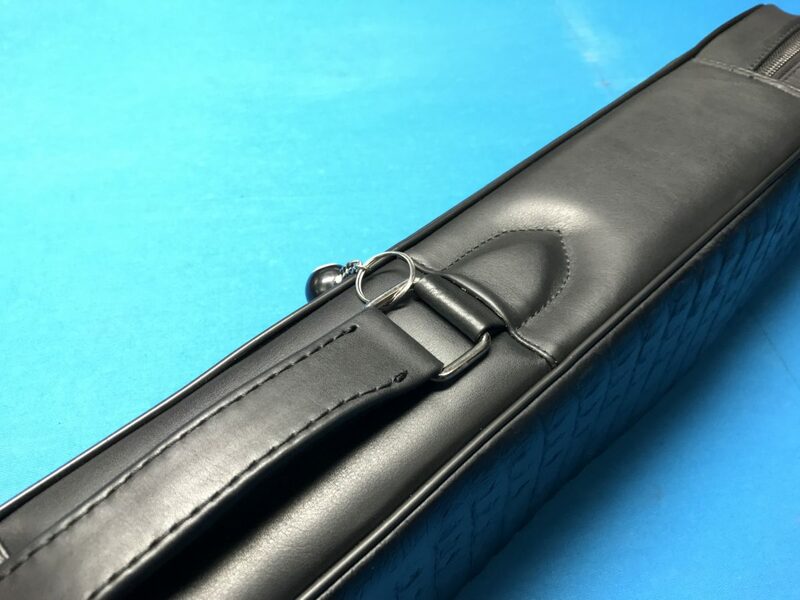 As an individual touch we have added a laser engraving of the cue belt. 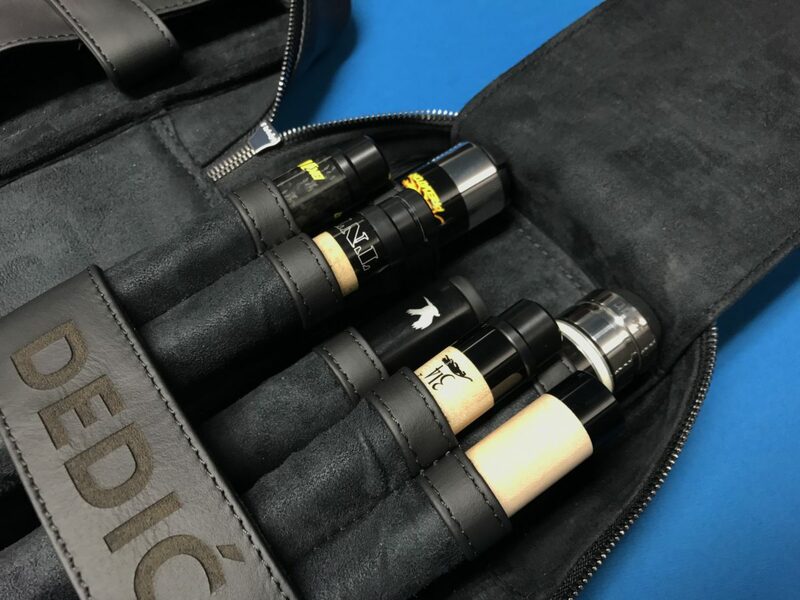 All materials used for this case are avialable for order and can be also used for other cases as well. 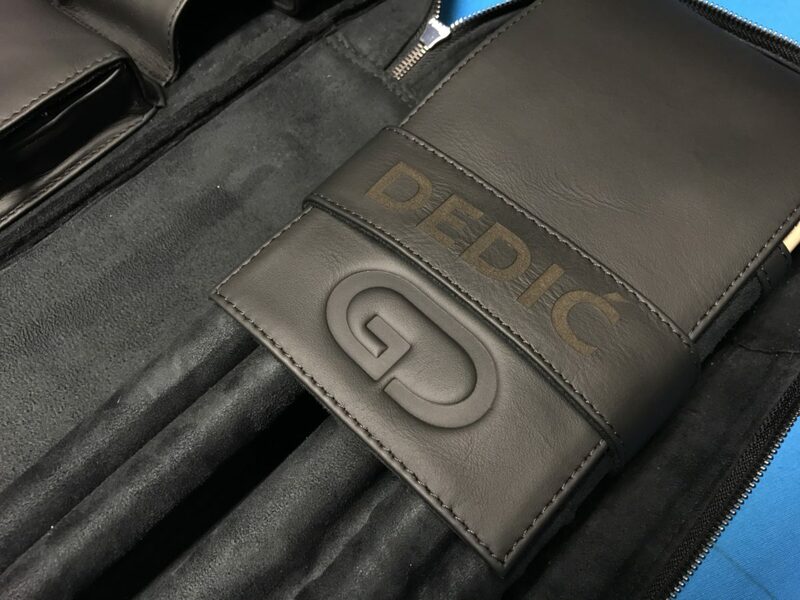 The GD Case Rating provides you an objective comparison of our cases and styles with regards to selected options, level of customazation and durability properties of materials. Hello folks! 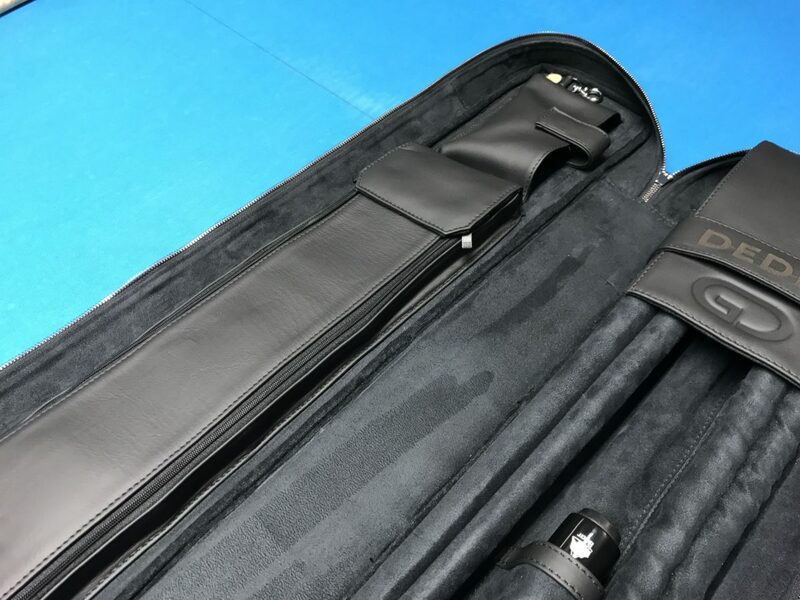 Since I started playing pool I was always a hard case guy, but when I discovered GD Cases and saw them live, I was really impressed and I wanted one to call mine ASAP. Craftsmenship, overall quality, comfort and functionality are just perfect. 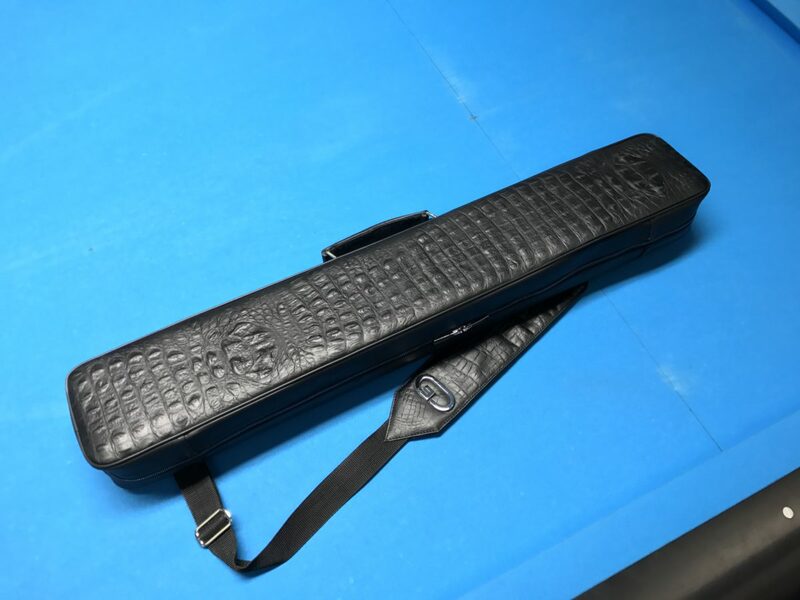 I love my GD cue case and I can honestly recommend it. Great job and many thanks to whole GD Team, you are the best! Regards Denis! If you want to know more about our unique products and services, please feel free to contact us. By clicking "Send" I agree to be contacted at the email or phone number provided with more information or offers about G-DESIGN products. This consent is not a condition of purchase. @ ALL COPYRIGHT RESERVED BY G-DESIGN.